starting with the art work for the cover and slick, it is hoped to have it released in the early 2011.
using Australian Dollars and the Paypal Company, just click on any one of the above icons to go to the CD Page, then follow the links. For those using internet banking, all the information for direct debits via the net, can be found on the CD page. Another update, this time of a single photo set of ML 070 - Modified 620/720 NSW Railmotors from Graham Baker. Thanks mate, it is greatly appreciated. Thanks to those contributors and I hope that you can gain some useful information from the new photo sets. 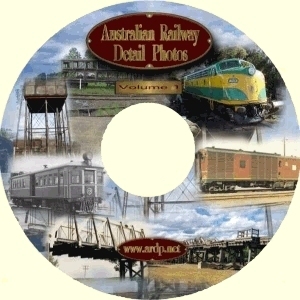 If you have any groups of photos of anything railway (Australian that is) and would like to share them with other modellers, I would be happy to post them on this web site, and as the web site exists purely because of previous contributors, it is essential, that this continue with your help. 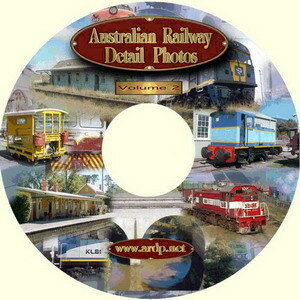 The ARDP CD is available from the site as well as many hobby shops, if you have a hobby shop or business and would like to stock the CD, contact me and I will arrange delivery. If your local hobby shop doesn't stock the CD, ask then to get it on their shelves. A heartfelt THANK-YOU to all the contributors. If you would like to contribute photos to the web site, I would be more than happy to accept them. Just go to the Criteria page to see what is preferred when posting to the site.